In this Throwback Thursday episode of Silver and Gold, Vance is back with FKAjason to talk about “Captain Atom on Planet X” from Space Adventures #36 (Charlton Comics, 1960) by Joe Gill and Steve Ditko. Check out our tumblr page for images from this issue. Wait, haven’t we already introduced Captain Atom. Well, yes and no. Call this episode of SNGPOD our “throwback Thursday” episode. 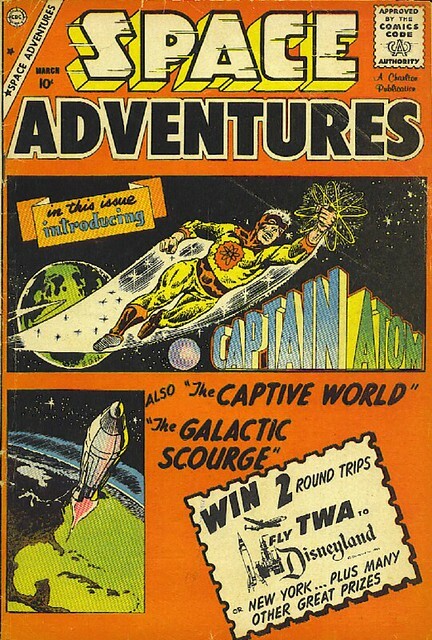 I have a special guest on and we talk about the origin of the “original” Silver Age Captain Atom from Space Adventures #33. The story (written by Joe Gill with art by the legendary Steve Ditko) is titled “Introducing Captain Atom,” and it, well, introduces Captain Atom. Download this episode now on iTunes!